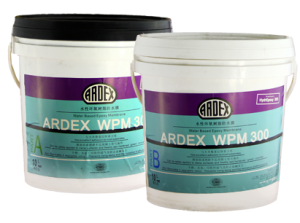 ARDEX Fast Track Screeding Cements could save you weeks, even months on a project. ARDEX floor screeds that incorporate the unique ARDEX RAPIDRY FORMULA Technology, can be walked on in 3 hours and can receive floorcoverings, from as little as 4 hours, regardless of the thickness. The RAPIDRY formula also provides the screed with rapid strength development. 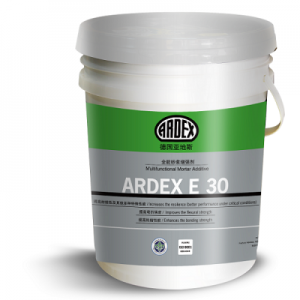 After only 1 day the compressive strength and tensile strength of ARDEX A 38, exceeds the acceptable minimum strength attained by an ordinary cement screed after waiting 28 days. 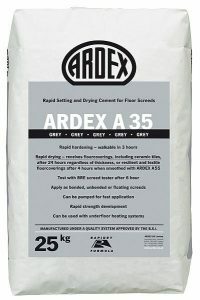 ARDEX RAPIDRY rapid drying cement screed has been designed to meet the increasing demand for fast turnarounds that minimise downtime and disruption. The quick drying screeds allow fast track installations by facilitating the early laying of all floors, ideal for both time critical commercial and domestic applications.